Can a New Year Bring True Happiness? Loving Sai Ram and greetings from Prashanti Nilayam. You will be hearing this talk on the last day of this year and since it is New Year’s Day tomorrow, let me first wish all of you a happy New Year. For myself, I hope that 2007 would be free from the kind of nonsense we saw in the last days of this year, forcing me to talk on a topic that I thought had gone away. I am referring to a nasty anti-Swami article in the website of the Hindustan Times published from Delhi, and a Sunday night talk show in NDTV which also featured many anti-Swami comments. O Arjuna, I know all beings of the past, the present and those to come in the future. But no one knows Me! Concealed as I am by the power of My Creation, I am not manifest to all. The bewildered world does not recognise Me, birthless and changeless! Deluded by the manifestations of the three Gunas [characteristics in-built into Creation], the world fails to recognise Me, the Imperishable, who transcends the transient aspects of Creation. Verily, this Divine illusion of Mine [Maya] is hard to surmount. But those who take sole refuge in me, pierce this veil! These words were spoken by Swami five thousand years ago. So we really should not be surprised if the world is full of people who talk through ignorance. Let me now get down to the subject matter of today’s talk. One thing about anti-Swami outbursts is that they suddenly awaken many of our devotees, who otherwise are dormant. In this case, not only did we get many mails as is usually the case, but also there was some strong response by a few of our ex-students, made directly to some of those responsible for the irresponsible comments. I shall deal elsewhere with the specific remarks of those who have spoken against Swami; here I shall deal with the general topic of negativity at a broader and somewhat philosophical level. I feel that such a reflection is required so that we understand why such things happen, and how we should deal with this phenomenon in an effective way instead of just letting off steam occasionally. Maybe I should begin all this by considering lower living forms like animals, and how they act and respond to stimuli in the external world. All living systems have what I would call I/O systems, namely the senses, which are like the input-output devices in computers. The senses are able to collect information about the external world and send it to the brain. The brain processes the information received and then sends signals to the body organs including the senses, about the manner in which the body must respond to the signals received. In animals, this is more or less a hard-wired process. For example, when an animal sees or senses danger, it immediately reacts to protect itself. If there is rain, the animal tries to look for shelter, and so on. Since we have evolved from lower forms of life, we too have such a built-in system, naturally. But we also have some higher faculties that the lower living forms do not possess. There are aspects of our brain that allow us to learn significantly, and it is because of that learning process that we are able to do so many things. For example, it is through intelligence built up from the learning process, that man can tame animals and even make them work for him, refine ore and extract metals, make tools for use in various activities, build transportation systems, and so on. It is also intelligence coupled with the God-given flexibility of the tongue that enables to humans speak, develop language, etc. Beyond the learning process, comes the higher reasoning process that enables man to use logic to deduce complex results in mathematics and make non-trivial scientific discoveries. 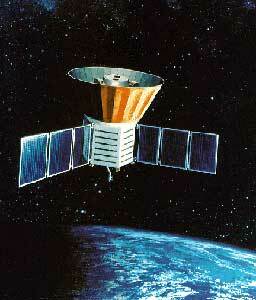 For example, just this year, using a fantastic satellite named COBE that for three years hovered in space monitoring the original radiation emitted soon after the Big Bang, we now know that our Universe came into existence about 13.7 billion years ago, with just a few percent error in the estimate. This is a remarkable discovery, especially the precision. Going beyond breath-taking logical abilities, man has remarkable creative urges that have given to mankind priceless treasures through giants like Shakespeare, Leonardo, Mozart and so on. That truly is an impressive spectrum. Does anything else lie still further beyond? Indeed, there is and that is the infinite reservoir of basic human values. So there it is, a fantastic Mind-continuum all the way from simple reaction processes to learning to higher intelligence and reasoning, to sophisticated logic, to creative urges of the highest order and finally the noble feelings latent in the Heart. OK, all these are present in the human being; so what? What is the big deal? That is what I shall now consider. You see all of us are a complex entities, that see a whole world outside of us, and react to it according to how we perceive that world from inside. This is a very important point that I would urge you to keep in mind. It all starts like this: We first see, hear, smell and so on, and take the information into the brain. There we process and store the information. After this comes the response process. What we should realise is that the nature of the human response depends substantially on how deep the individual concerned is prepared to go inside into his or her mind before responding to external stimuli. My thesis is that the deeper one goes, the better is the quality of the response and the best comes when one goes to the deepest part wherein are packed God-given treasures of basic human values in abundant measure. Let me now develop all that slowly and in stages. Don’t worry, I shall, in due course, relate all this to anti-Swami propaganda, how we ought to respond based on Swami’s teachings, etc. Let us start with how the response varies in quality as the person responding goes deeper and deeper into the mind. At the lowest level, the person is dull in personality, and his responses are instinctive and animal-like, knee-jerk type one might call it. There is no deep analysis of cause and effect and consequences. At a much higher level, there is intelligence combined with reasoning and logic, but even this can be limited and not all-inclusive. The world of today is full of top-class experts who know how to “solve” problems systematically, analytically and so forth, using mathematical models, computer simulation and what not. But at the end of it all, they often fail. The classic case is that of Robert McNamara whose name was very well known in the late sixties but is probably unknown to most of today’s youngsters. McNamara came to Washington from the Ford Motor Company where through sheer brilliance, he rose to be a top executive. In Washington, McNamara served as Defence Secretary to President Johnson and was closely connected with the Vietnam War. There was Vietnam in far away South Asia, and here was America, a Super Power with hundreds of hydrogen and atom bombs, missiles etc., besides all kinds of attack weapons, and hundreds of thousands of soldiers making up an awesome army. Sitting in the Pentagon and surrounded by whiz kids as well as powerful computers – McNamara strongly believed in computers – America waged war in Vietnam against a small country with hardly any sophisticated weapons. The war dragged on for years producing a great toll in human life and brought immense suffering to millions. 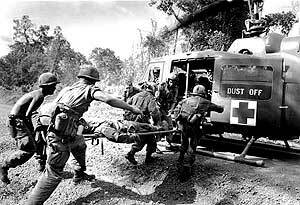 At the end of it all, the great power America simply threw in the towel and withdrew from Vietnam, abandoning its original objectives. All this is well-known history and I shall not go over it again. But this much I have to bring to your attention and that is in later life, Robert McNamara went carefully back over all he had done and America had done and admitted that it was one huge Himalayan blunder. The premise on which the war was fought was totally flawed. Why? Because the so-called facts gathered prior to the war were not analysed with the Heart but with the Head. I agree that McNamara did not quite put it that way, but in the end that is what it all boils down to really. If you go back to the picture I gave you earlier, the Head and the Heart form really one continuum. Indeed, the entire continuous structure all the way from brain function to what I call the Heart can also be described qualitatively in terms of three broad regions, namely, the Lower Mind, the Middle Mind and the Higher Mind, a description that would be in consonance with some of the writings of Aurobindo. Incidentally, in the Summer Course of 1994, Swami’s evening Discourses were all on this very topic of the Mind-continuum. People’s responses to events in the external world depend entirely on which part of the Mind-continuum they are connected and plugged into. Thanks to our physical body, for each of us there is a world outside as well as a world inside. We perceive the world outside and get information about it via our senses. Our response to the outside world and events or actions taking place there are conditioned by the way the information gathered is processed by the system within us. This system called the Mind is a continuum with a long extension. However, not all parts of this continuum are activated in everyone. Different extents are switched on in different people and thus, different people react to the same situation in different ways. For example, during the Katrina disaster in America, when floods were sweeping New Orleans, some were trying to help, while a few were looting. Sometimes, the response might give the impression of being the result of a very careful and studied analysis. However, as the Vietnam War as well as many recent events have shown, logical reasoning is often flawed because it is incomplete. No analysis, however rigorous it might appear to be superficially, is complete, if considerations of the Heart are excluded. That is the point I shall next consider. Let us say there is a man sitting inside a house and looking out through his window. The window is wide, and covered with glass. In addition, there is a curtain inside. Now if the man does not pull aside the curtain fully when he tries to look out, his view would necessarily be very limited. If in addition, the window glass is covered with dust and grime, then the man inside can at best have only a murky view of what lies outside. With such a restricted and limited view, even Sherlock Holmes would have a lot of problems in coming to correct conclusions, based what he sees happening outside. That is the problem with many people today. Why is this happening and what are the contributing factors? That is our next issue. To understand the question just raised, we must first understand that each of us is really two personalities within one body; it is a two-in-one affair. I am sure you all must be thinking I have gone bananas and I would not blame you for thinking so. In fact, a few years ago if someone had told me something like this, I too would have thought the person needs to go to a mental asylum. What then has changed my mind? The Bhagavad Gita and Swami’s Discourses. 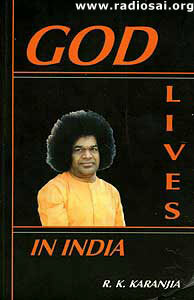 Swami’s Discourses? Yes of course! Don’t you remember in how many of His Discourses Bhagavan raises the question: “Who exactly are you?” The short answer to that question is that we are really one; but we often mistake a mirage of this one to be the real one. I am sure that must be a mouthful for you and so let me explain. Vedanta makes it very clear that there are two personalities within each of us, if I might put it that way. One is the Lower Self or the ego, and the other is the Real Self or the Atma. The Lower Self is a representation of our body and mind combined together. While the Real Self is what we really are, the Lower Self is really a mirage even though it might give the impression of being very real. I know you must be feeling dizzy and so let me go over all of this slowly. If you don’t mind, I would like to begin with Arjuna and Krishna out there in the battlefield, before the commencement of the famous war between the Pandavas and the Kauravas. If you recall, Arjuna is trying to drop out and the very first thing that Krishna says is, “Arjuna, you are not the transient body, but the eternal Atma.” What Krishna means - and this is something that Swami has stressed ad nauseum though it might have escaped us – is that we must act according to our intrinsic Divine nature latent within us, rather than on considerations of the body and mind. In Arjuna’s case, he did not want to fight with blood relatives. Normally, that would be a valid argument, but when it is a case of Dharma versus Adharma, body-consciousness must not dictate judgement. In fact, through the stories of Prahlada, Maha Bali, Meera, etc., Swami has made it very clear that if it ever comes to a question God versus someone else, then the priority must always be God. And since Truth is God, Dharma is God, the same rule applies here also; and this was the rule that Arjuna was trying to flout, guided erroneously by his Lower Self which is a representation of body consciousness and all the rest that go with it. In short, ignorance of our true nature can lead us to making wrong judgement and wrong actions. I must pause to make an important point here, which is that the Lower Self is not unique, meaning that it is different in different persons, depending on the extent to which they are driven by ego. The Real Self on the other hand, is the same in all. That is so because the Real Self is nothing other than the Atma. 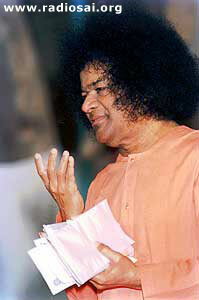 As Swami has pointed out that there is no such thing as your Atma, my Atma, etc. Thus, if a person looks at the world from the perspective of his Lower Self or the ego, the response of the person would basically be selfish. On the other hand, if the response is governed by the Real Self or the Atma, then there would be no trace of any selfishness; instead, it would be guided by considerations of selfless love, compassion, understanding, etc. In simpler terms, either we react based on our personality as determined by our body-mind combination [Lower Self or ego] or based on our personality shaped by the Divine Spark within [Higher Self or the Real Self]. In the former case one can legitimately say that the person concerned is ignorant of his true nature while in the latter case one can say that the person is fully conscious of his intrinsic Divine nature. Which brings me to education and its real purpose. As Swami has described it, true education is that which a) enables a person to be fully conscious of his or her intrinsic Divine nature, that is to say, identify with the Real Self rather than the Lower Self, and b) react to events in the external world, in a manner consistent with the nature of the Real Self instead of the Lower Self. In practical terms, a person who is educated in the true sense of the word would be humble, ready to help and oblige, be understanding of the other person’s point of view, and ever ready to serve, etc. So how would all this make a difference to the world as it is today? Well, almost every educated person in today’s world might be highly qualified in a worldly sense but totally ignorant of his or her true nature, namely, that the person is actually Divine in origin at the root. This ignorance can produce a huge difference in the way the person acts and reacts to worldly matters. Such a person would, believing to be highly rational, still not hesitate to attack those who believe in God, simply because he or she has concluded that there is no God. All reasoning is done within a certain framework; a scientist, for example, thinks and functions within the boundary of space and time, since the Universe we live in is bounded by space and time. That is perfectly OK where the physical universe is concerned. I am a scientist by training and profession and that is how I did all my science. However, that does not give me the license to ridicule people who have faith in certain matters that go beyond space and time. To be honest, many atheists are quite fair in such matters and adopt a live and let live attitude. However, there are some fundamentalist atheists who would summarily dismiss all believers just because a handful of people who believe in God talk stupidly. In the beginning, the news media began mainly as an objective purveyor of news. Journalists and broadcasters of an earlier era were committed to professionalism, quality, accuracy and objectivity. For example, President Franklin Roosevelt was a polio victim and spent most of his later political life on a wheel chair. That fact never got mentioned in the press, nor did the press photographers ever take pictures showing him on a wheel chair. Today it is a different story, and I do not have to tell it. In the world of television, as everyone knows, it is in America that the TV industry really took firm roots. In the early fifties, American TV was dominated by three major TV networks and they all used TV to bring entertainment to the homes; there was no news program to start with. And TV broadcasting was hundred percent commercial. News was later added as a way of showing losses; thus, news programs did not carry any advertising; the soap manufacturers who dominated the advertisers, were not interested in news anyway. This turned out to be a blessing and TV broadcast journalism began to flourish, with journalists producing very good programs. Soon, people began to watch news programs avidly, whereupon the ballgame suddenly changed. The management made news an integral component of its mainstream program, and included it in its ratings game; advertising got connected to news also and thereafter it was always the tail that wagged the dog. Meanwhile, politics in America began to become ever so expensive, thanks to candidates using the TV for promotional advertisements. Pretty soon, the media became a power of its own, with a lot of money power behind it, enhancing further its power to enter the minds of the masses and influence them. Thus it is that these days the mantra is: Good news is no longer news; crime is news, scandal is news, sleaze alone counts, and so on, because negativity is so easy to sell. Behind a sham veneer of objectivity and pretence of public concern and sensitivity, there is a lot of bias on the one hand and self interest on the other. That is unfortunately true. There is the famous case of a person who was a member of the Cabinet of President Ronald Regan. He was hounded by the press with allegations of corruption. These stories regularly made the front pages. This went on day after day till he had to resign. Then a lengthy investigation into the corruption charges followed. It was found that this man was completely innocent. The correction appeared as a small piece of news in small print on the 19th page of the leading Washington paper that hounded him out of office. His reputation was gone forever and nobody ever believed that he was actually innocent. That is the media for you. They can print any story they want and if turns out they are wrong, at best they will print a small apology tucked away in an obscure corner. These days, almost every day, somebody or the other is prosecuted, tried and sentenced by the media, even before the trial commences. According the law, a person charged is innocent until proven guilty. But how can the person have a fair trial when the press is hounding him instead of merely reporting? 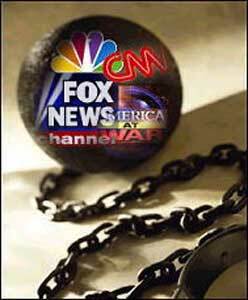 What is all this talk about the rule of law, when there is only the rule of the media, most of the time? These days, media is concerned mostly about ratings. This is true of newspapers and TV channels. Higher ratings mean higher advertising revenue. Sadly, advertising income is the bottom line. Thus it is that NDTV is running programs like Big Fight, Cricket Controversy, and so on - full of sound bytes as they say in America. People are encouraged to phone in, send SMS, etc. The popularity of the show is what is important, and not truth, although there would always be a veneer of fact-finding, being balanced and neutral, etc. I am saying all this in a matter of fact way. I think we ought to realise that what is happening now is the new style, and that we have to swim against this strong current. Money pressures are making even the once fair and reputed newspapers lower their erstwhile standards of journalism. I see many of our formerly reputed newspapers looking rather like tabloids so popular in London. I wonder how many recall that some years ago, the famous London Times carried a nasty article on Swami, without bothering to do any checking. Normally, newspapers do the courtesy of giving some space to people who wish to contradict. So many of us wrote letters to the Editor of London Times, balanced letters I might add, but not a single rebuttal was published. Let us face it, value systems have changed. And things once unthinkable are now regularly happening. Some years ago, Rusi Karanjia who then used to edit and publish the tabloid weekly Blitz from Bombay, ran a nasty campaign against Swami week after week. Someone then told Karanjia, “You are a journalist; how can you write about someone without even bothering to see Him and talk to Him and personally verifying that what you write is true?” Karanjia took this criticism to heart, came to Puttaparthi, talked to Swami and completely changed his opinion. You must give him credit for that. That kind of objectivity has gone forever. The ratings game has wiped out that kind of fair-play. At this point, let me make one thing very clear. I am not saying that all of today’s media is black and that too all of the time. Far from it. Many TV and radio channels do at times bend backwards to be very fair in their reporting. However, the fact remains that even if the media does not wish to be unfair, bowing to the ratings pressure if often resorts to tactics that carry bias. Before I wind up, there are some basic and philosophical remarks I would like to make. I will go back to where I started. I said that the response of individuals to the external world depends largely on the depth to which they go inside themselves. These days, the type of education that one receives makes even so-called very intelligent people stop short of the region where the Head ends and the Heart begins. Their responses might be very intelligent, highly logical, etc., but when matters extend beyond the domain of cold logic, such people are absolutely useless where problem solving is concerned. On the other hand, they often cause and compound problems. That was Robert McNamara’s fatal mistake, which he had the courage to later acknowledge. But such honesty is often missing. Talking of honesty, I should mention a radio program that I heard recently featuring an Israeli woman and a man from Palestine. Both had suffered tragedies; while the woman had lost her son who was killed by a Palestinian sniper, the Palestinian’s brother was similarly killed by a sniper from Israel. Both had reason to feel bitter about the killer responsible for their personal tragedy, but, as the woman said, “I know that even though a Palestinian woman may declare that she is proud that her son sacrificed himself as a suicide bomber, when she is alone, she does not feel pride but pain, agonising pain.” Likewise, the Palestinian man said that hatred made him see differences between himself and the Israelis but if he was honest, he would have to admit that he and the killer were both humans although they belonged to different religions. He said it was only when he harped on his rights as a Palestinian and forgot that he and all others are human, that hatred set in, bringing with it conflict. This is an important point and I wish to spend some time on it. There are four key words, two used by the Israeli woman and two used by the Palestinian. The woman talked about tragedy and pain being a common bond rising above and wiping out all conceivable differences that prejudice and hatred can breed. Likewise, the Palestinian said that when he forgot about his rights and focussed on honesty, then the wall of mistrust vanished. If we think carefully, it is huge walls of mistrust built by minds that create most of the problems in the world. Walls are born from a lack of understanding and inadequate enquiry, and promote mistrust, suspicion, a deep sense of insecurity and finally, even promote conflict. Such walls always have an external cause, but they all arise because of one basic factor: we forget that we really are human beings before we are Hindus and Muslims, Catholics and Protestants, Shias and Sunnis, Arabs and Europeans, Russians and Americans. In the eighties, Ronald Regan, an arch capitalist American, sworn to free markets and all that, declared standing near the famous Berlin wall, “Mr. Gorbechev, tear down this wall!” Regan was known as a strong hawk, and few expected he would ever adopt a conciliatory tone toward the Soviets. And you know what happened? Together, Regan and Gorbechev set in motion a reconciliation process that brought down the Berlin wall, and suddenly made the Russia and America not regard each other as dangerous enemies. And what a change it made to the world! Almost overnight, a forty-year long bitter cold-war became history. Today, we no longer fear a nuclear holocaust brought about by a nuclear war between Russia and America. Let us similarly take a moment to recall a much-ignored event in South Africa. For over a hundred years, the White man, a small minority, ruled with an iron hard and in a most cruel manner in South Africa. In that utterly dark country in a dark continent, a frail Indian named Mohandas Karamchand Gandhi started a new movement, curiously on September 11th, almost a hundred years before the more famous 9/11. And in the last decade of the 20th century, even as the Berlin wall crumbled, so did the Apartheid in South Africa. At last the black people were free and able to rule the country. That was good, but at the same time, everyone wondered what was going to happen to the White minority, which was about 20%. Was there going to be a bloodbath, an era of revenge? There was a huge reservoir of hate and anger to promote such a bloodbath, but the seeds sowed by Gandhi prevented that from happening. Nelson Mandela, after suffering for over twenty-five years in prison, initiated a novel Truth and Reconciliation procedure whereby the past would not be forgotten but forgiven with understanding. Gandhi was motivated by his quest for Truth, when he started the campaign of non-violence. 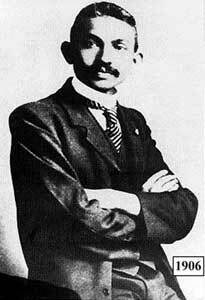 Gandhi’s inspiration came from his extensive reading. He was not a highly educated man in the formal sense; but he read widely and absorbed. 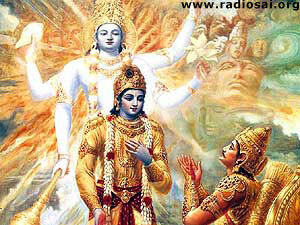 In particular, he let his entire life be governed by the Gita. The Gita is the lesson Swami taught five thousand years ago. That lesson was taught just once. 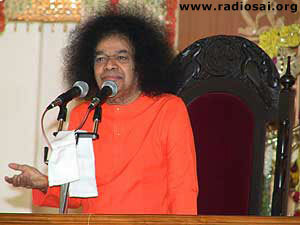 These days, Swami repeats those lessons in much greater detail, many, many times. But are we paying attention? Is the world paying attention to the lessons of history? Are we in any way helping the world to learn the lessons that God in human form is teaching mankind so tirelessly right now? In 1944, even as the Second World War was drawing to a close, humanity took the momentous step of establishing the United Nations, that everyone hoped would end all wars. But what happened since then? People continue to be killed due to wars, conflicts and genocide, and the sad fact is that even without the atom bombs, almost the same number of people have been killed due to violence since 1945, as died in the Second World War. Alongside the growth in scientific knowledge, ignorance is also growing pari passu. How else can we explain the fact that in five thousand years of recorded human history, there have been as many as fifteen thousand wars? Even now, men are not free from the fear of war. It is these wars that have progressively dehumanised mankind and eroded all human values. Notice the key words: Growth of ignorance, and dehumanisation. What is the use of higher education if it does not lift us to the level of the Heart? That is the issue we raised recently in a Sunday Special and that is the issue I raise now. Here, we must see Swami’s monumental contribution, by setting up a model University and training thousands of young men and women. 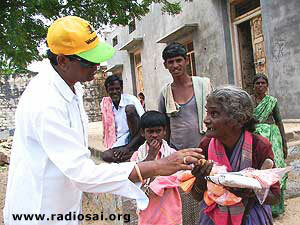 Swami has done His bit, but now it is up to the thousands who have gone forth into the wide world to spread the Message. We here in Prashanti Nilayam have for years been pleading for active support to us in this cause, but I am sorry to say there is not much of it. Oh yes, there is goodwill of sorts, and the words of praise now and then, but we are not seeking praise. We are looking for something else. How Will We Individually Promote Global Harmony? The world today resembles a huge forest that is on fire. However, this forest is right next to a big lake with plenty of water in it, which can be used to put out the fire. But the fire will not die unless water is drawn and used to extinguish the fire. It is in that “fire-fighting” that we must all come together. Fire-fighting in the present context does not mean merely rebutting incorrect statements mouthed on talk shows. Where required, that must certainly be done; but we also need to do a lot more. Right now, there is a lot of ignorance about what all Swami has done for humanity and what His teachings represent. Just to make my point, I would like to say that every day, hundreds of young people come as a group from different countries. They are all happy to be here. They sing songs, stage plays, do a bit of service here and there and go back. All this is fine and nobody is grudging their right to be happy in the Divine presence. But should it all end right there? If we are honest to ourselves, we would be forced to agree that silently, a lot more people outside the Sai Family are quietly doing much to promote global harmony. Just recall what the Palestinian man said about being honest and realising that he is a human first before he is a Muslim. If people who have never heard of Swami are able to feel love in their Hearts and use that Love to break down walls of hatred and prejudice, is not much more expected of us? Wherever we look, hatred, conflict, violence and wars, all spring from a gap, with individuals, communities, and countries on two sides. Usually, one side is much stronger than the other. While both sides have the responsibility of looking above the wall in order to reach out, the stronger party has a greater obligation to do so. In rock climbing, it often happens that one person has gone a little up while his partner is below and struggling to climb up. On many such occasions, the person who is up often bends down and gives a hand to lift the person below. That is the attitude needed in most conflict zones today: understanding, the sharing of pain, forbearance, a sense of ‘forgive and forget,’ compassion and love. That is the essence of Swami’s teaching, that is what higher learning is all about and that also what Swami taught in the Gita. When that lesson is absorbed, all walls of suspicion and hatred would crumble instantly. 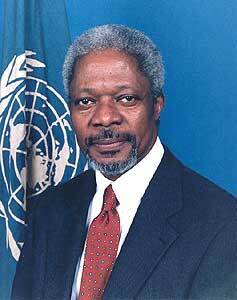 Shortly before he laid down office, Kofi Annan, the outgoing Secretary General of the UN, said that Superiority must not be used to establish Supremacy, but for practicing enlightened leadership. While Annan was referring to the US, the only Super Power now on earth, I believe that his words apply to all sections of Society where there is a divide with the privileged on one side and the underprivileged on the other. If we reflect carefully, we would be forced to come to the conclusion that a systematic study and application of Swami’s teachings alone can save the world. That study and application is what true education is all about, and I suggest that it is time we become earnest about absorbing at least a bit of Swami’s teachings. This is the time of the year when everyone goes around wishing everyone in sight a Happy New Year. Yes, we all want the coming year to bring us happiness. How many times have we offered that wish in the past? However, how many times have we done anything to promote true happiness? I would like to conclude with the hope that 2007 will see more and more Sai devotees becoming passionately involved in spreading the Sweet Message of Universal Love. This is one thing that can really and truly redeem the world and pull humanity out of the quagmire it now is caught in. In this exercise, we need both the people and the tools. The tools are here with us, but you the people are out there. Can we both come together? That is the question I shall now leave you all with. Once again I wish you a Happy New Year. I also hope that we can make 2007 a really happy year, by working together closely in spreading the Divine Message.